The future of Bartlesville High School football took center stage Monday at Custer Stadium. 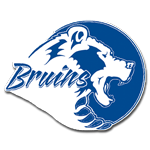 In the freshman game, the Bartlesville Bruins played close most the way to Tulsa Union. But, the visiting Redskins scored two late touchdowns to walk away with a 26-7 win. In the junior varsity game that followed, Broken Arrow pulled out a 27-0 victory. Bruin coach Justin Gordon praised the grittiness of quarterback Will Walton for his resilience against a rugged Broken Arrow pass rush. New transfer Brad Crawford also “had a few nice catches) and Zane Ramsey peeled off some solid runs, Gordon said. The Bruin jayvee has the ingredients but needs to put them together, he added. The same could be said for the Bruin varsity, which almost certainly must grab a win Friday at Ponca City in order to remain in the chase for the playoffs. The Bruins are 1-3 overall, but more importantly, 0-1, in district play. With only six district games on the schedule, the Bruins can’t afford to go 0-2, especially against a Ponca City team they should be able to beat. Dewey High School’s football squad eyes a golden opportunity Friday at Berryhill.